I felt that it was important to look at the private sector and Sanctuary provides staff across health and social care. James is one of the most influential figures in this sector and the interdependence that exists with employers seems likely to continue indefinitely. 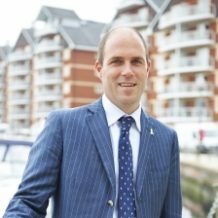 After 20 years of developing and resourcing work within adult and children’s social care, James , as the Chief Executive, has built up a unique understanding of the sector. Agency staff and interim appointments are part of the fabric of the social care landscape. When he set up Sanctuary he employed eight staff and it’s a positive statement of the company that, although it has grown to be the largest provider of social workers in the sector, the same eight staff are still there. He has an enormous passion for the work, supporting a number of charities, in particular the Social Work Awards which are now an established part of the calendar. Much of his time is spent with the leaders of social care within local authority, central government and the third sector. Thanks , as always, to Alba Digital Media for their technical support.